The second book in the hilarious Timmy Failure series by Stephan Pastis, Now Look What You’ve Done, is out now and you can reserve your copy at the library. If you love books like Diary of a Wimpy Kid and Big Nate, you should check out Timmy Failure. Over the Summer holidays the Library had a Summer Reading Film Competition. It was aimed at teenagers but one of the entries was a great book trailer for Skulduggery Pleasant. Skulduggery Pleasant is a very popular series about a girl who discovers her dead Uncle, who she thought was a horror fiction writer, actually was telling true stories about his battle against evil. The eighth book in the series, Last stand of dead men, has just been released, but if you’d like to start from the start, you can check out the full series on our catalogue. The author of Skulduggery Pleasant, Derek Landry, visited Christchurch in 2012 and we interviewed him on our blog. We’ve got a lot of other great articles and videos about the Skulduggery Pleasant series on our blog too. Have you ever got a book as a present that is a little bit too young for you? Alexander did. His Gran Gran got him Birthday Bunny, and a story about a cute bunny who receives thoughtful gifts from his friends is not exciting enough for Alex. So he decides to make some modifications to turn Birthday Bunny into Battle Bunny! Jon Scieszka and Mac Barnett (and Alex!) have created a book where cute Birthday Bunny, through Alex’s drawings and changes to the book, transforms into Battle Bunny, an evil genius who wants to rule the world! Featuring appearances from Barack Obama, megatron bombs, the Robot Police Force and a monster zombie rocket, Battle Bunny is an awesome book! 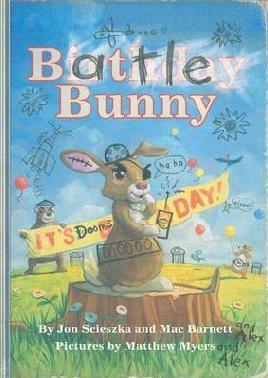 One of the best things about it is that once you’ve read it, you can print out your own copy of Birthday Bunny to scribble over and change into whatever story you want. 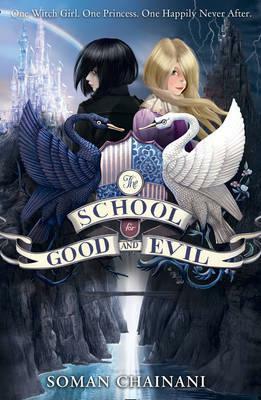 May 24, 2013 · Filed under Adventure, Book Trailer, Books, Children, Fantasy, Science Fiction	· Tagged book trailer, Eoin Colfer, Fantasy, history, science fiction, The Reluctant Assassin, time travel, W.A.R.P. The reluctant assassin is Riley, a Victorian boy who is suddenly plucked from his own time and whisked into the twenty-first century, accused of murder and on the run. Riley has been pulled into the FBI’s covert W.A.R.P. operation (Witness Anonymous Relocation Program). He and young FBI Agent Chevie Savano are forced to flee terrifying assassin-for-hire Albert Garrick, who pursues Riley through time and will not stop until he has hunted him down. Barely staying one step ahead, Riley and Chevie must stay alive and stop Garrick returning to his own time with knowledge and power that could change the world forever. 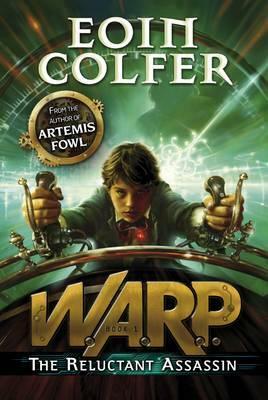 If you’re a copy of Eoin Colfer’s Artemis Fowl series you need to grab a copy of The Reluctant Assassin, the first book in Eoin’s new W.A.R.P. series. Reserve your copy at the library now.